This coffee-stained, handwritten message was tacked up outside of the Dunkin’ Donuts on South Crouse Avenue. I had turned toward a wall filled with placards, looking at advertisements for apartment complexes and Syracuse-area concert notices. Then I saw the scrap of paper; the question posed by the writer of this note made me examine my conscious. Do I care about the homeless in CNY? Answer: yes, sort of. What am I doing about it? Not a whole lot. Posted outside Dunkin’ Donuts. Photo by Francis DiClemente. And this makes me wonder whether a financial contribution to the Rescue Mission or the Salvation Army would make much difference. Would it really help someone? But I also understand spare change will not solve our city’s and our nation’s homeless crisis. Unfortunately, there are no easy answers to the problem. Maybe the first step is to recognize the homeless exist and maybe try to treat them with dignity. Maybe that’s what the writer had in mind when he or she posted the missive. One of the poems in my new collection Sidewalk Stories explores the issues of mental illness and homelessness. I’m sharing it here because it seems relevant; yet in reading it again, I realize the poem is pointless because it raises questions without offering solutions—in short, a lot of words but no action. Where do those with mental illness go? What worlds do they navigate in their minds? Are they able to restrain their thoughts? Can they find a place of rest in society? The mumblers, the droolers, and loiterers. Dressed in tattered clothes caked with dirt. Soda cans and plastic bottles. The unbalanced people out in public. I refuse to look away. Or pleasure in studying the deranged. It’s a dilemma with no easy solution. And I wonder, just where do we start? Of trying to restore the street people? To care a little bit? Looking at the ground, turning away. This instinct is natural and correct. Who have no intention of harming anyone? Who are suffering a few feet away? And it’s not mine either. Or force them out of our cities. Anything at all to make things better? And being on our way? I rarely write about my faith life. But I thought I would share this story because it seemed important to me. I often forget about the Lord, and my Christian faith becomes an afterthought. I get preoccupied with work, with my side projects, with daily errands and to-do lists. The result—Christ gets shoved out, pushed to the side. He never enters my mind during the course of my day. On a recent Saturday night, after I finished working out at the Marshall Square Mall Fitness Center, I walked down University Avenue toward my apartment on Genesee Street. The cold air felt good against my skin, and I was bundled up in my black pea coat, knit hat and winter gloves. I was listening to “Mr. November” by The National on my iPod as I passed by Grace Episcopal Church at the corner of Madison Street and University Avenue. 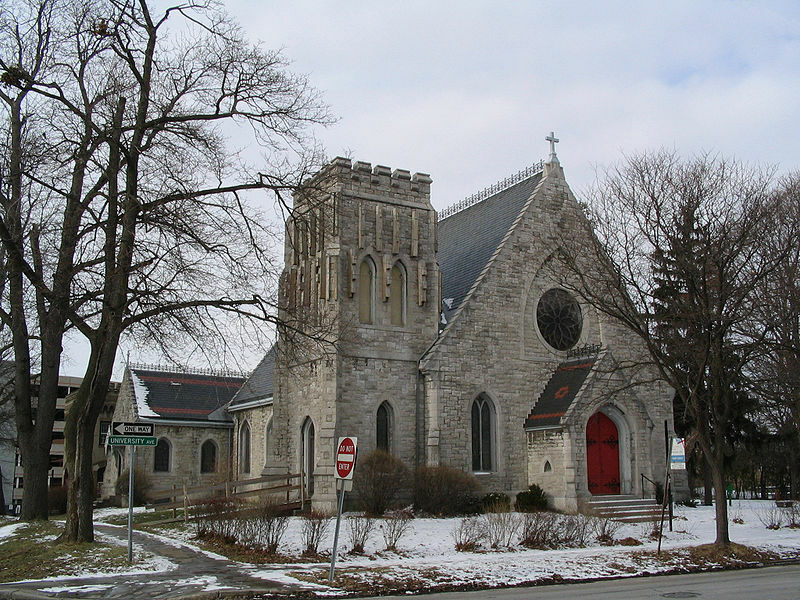 Grace Episcopal Church. Photo by ZeWrestler. I looked up and saw through the circular stained-glass window light coming from inside the church. It looked warm and inviting; I also stopped and peered at the stone cross perched on top of the pitched roof. I realized I had not spoken to or acknowledged the Lord the entire day. I said no prayers and I failed to express gratitude for the gift of my life. I went about my day in pursuit of worldly ambitions; I served myself and Jesus did not fit into my plans. And it seems I repeat this scenario often. There is little room for God in my world these days. But on this Saturday night, while swinging my arms to keep warm, I said a quick prayer as I hurried toward my apartment building. 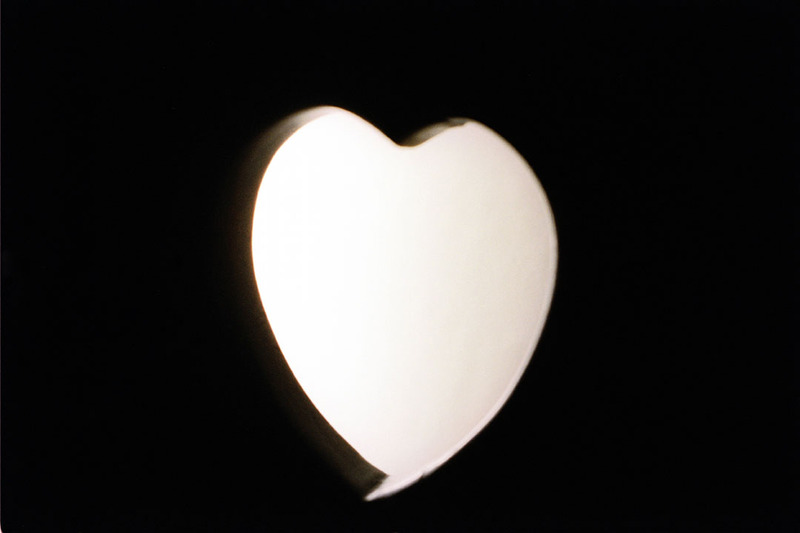 Heart Sunlight. Photo by Francis DiClemente. I felt better after I said the prayer. And I hope it will serve as a reminder to myself to reserve space in my day for what I need most.